Platter’s 2018 – trying to be all things to all people? 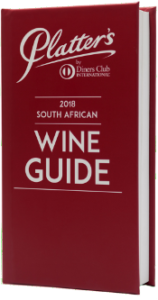 So the 2018 edition of Platter’s South African Wine Guide is out – 111 wines out of over 8 000 wines featured rating 5 Stars (see here). Isn’t that rather a lot of 5 Star wines, you might ask? Well, it’s a 429% increase on the 21 wines that managed the guide’s ultimate accolade in 2008 but it’s not as many as the 149 wines (out of some 1 700 reviewed in total) to score 95 points or higher on the 100-point quality scale that Tim Atkin had in his South Africa Special Report released earlier this year. In the lead-up to this year’s launch, Platter’s made something of a fuss about the fact that for the first time ever, bottle stickers with the ratings on the 100-point scale would be available – individual Platter’s tasters use the 100-point system when making their initial sighted assessments, all wines scoring 90 points or higher going into a second round of tasting conducted blind, the final score then converted into a star rating. Turns out, however, that those scores on the 100-point scale are only available if you take out a digital subscription with the ink-on-paper, physical guide still making reference only to star ratings. 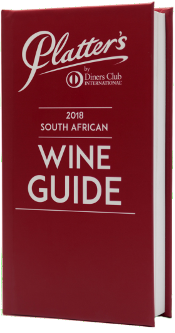 The guide itself costs R260 a copy while the one-year digital subscription costs R175 and provides access to all ratings and reviews since 2008 through the website and apps. This makes digital looks like a pretty good deal until you get to the Google Play Store to discover that the Platter’s app has an average rating of 1.9 out of a possible 5 (after 29 reviews) which makes me, at least, reluctant to download. More generally, though, that list of 111 wines rated 5 Stars is pretty respectable. Reviews and rankings are necessarily approximate but not entirely useless – it is only natural that producers should seek recognition for their endeavor and it is equally only natural that consumers should want assistance in making their purchasing decision when confronted by a hugely over-traded market. Platter’s is a noble undertaking and remains influential although I’m not sure it’s status as the “bible” of SA wine as somebody referred to it on Twitter recently is still warranted. 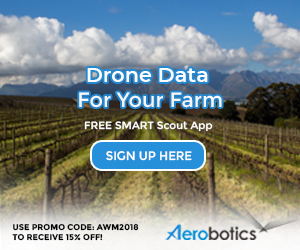 The South African wine industry has become too fluid and dynamic, the debate about what’s hot and what’s not too fast moving for an annual old-media publication to be the first and last word on the matter. Clearly the brains trust behind it is wrestling with new media options but will they succeed? Thanks for the interesting report, Tim. There’s a little mistake there with Shannon’s Mount Bullet being listed under the Pinots. Was the entire line a mistake or did you mean to include Shannon’s Pinot there? 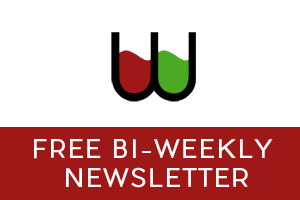 I’m not sure what vintage of Raats Cabernet Franc you’ve tasted, but – looking at both the excellent 2014 and 2015 vintages of the wine – I’m surprised not to see it included under the Cab Franc section. Thanks for the correction. Will change the PDF. Vintages of Raats in the main report. The Mount Bullet Merlot is listed twice. The PDF will be updated later tonight to correct the mistake. Thanks for pointing it out. Just a short note to say that Platter’s still sells more wine (in SA) than any other competition/guide/award.